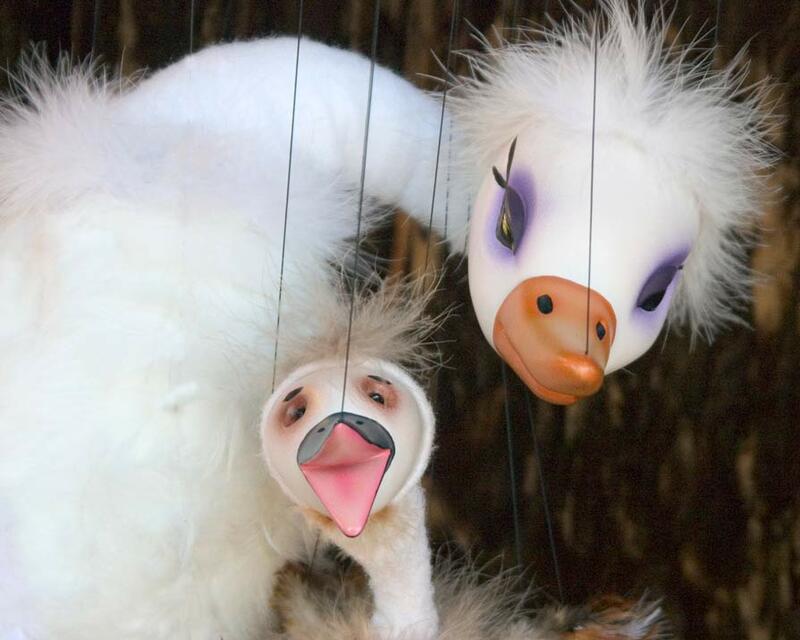 Saint-Saens’ fanciful score serves as a canvas upon which three classic storybook fairy tales are interwoven: “The Three Little Pigs”, “The Tortoise and the Hare”, and “The Ugly Duckling”. 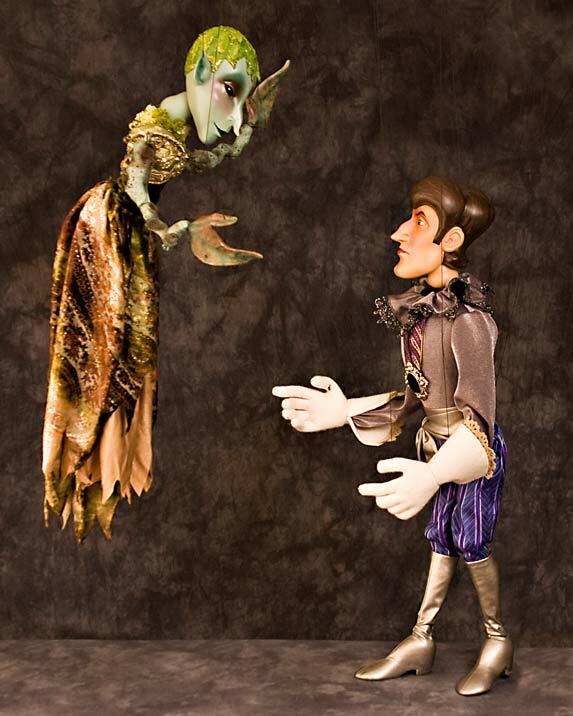 This production is performed without dialog, allowing the classical score to shine. 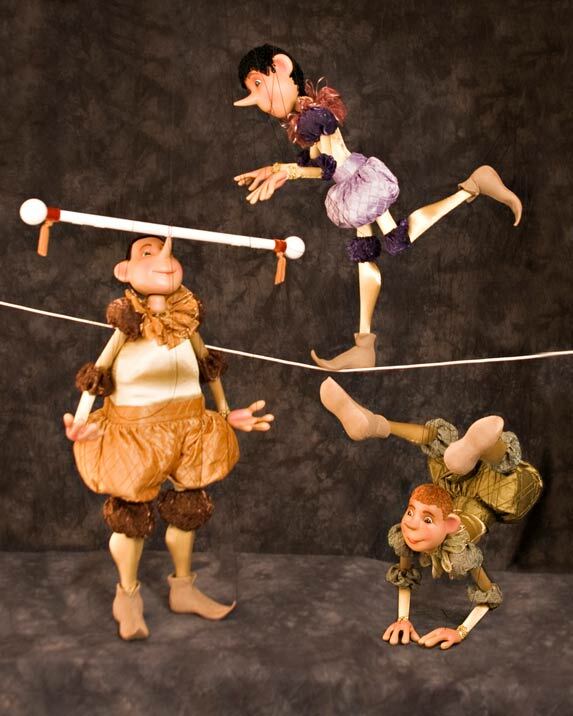 The puppets and puppeteers perform on a raised stage, fully visible to the audience. 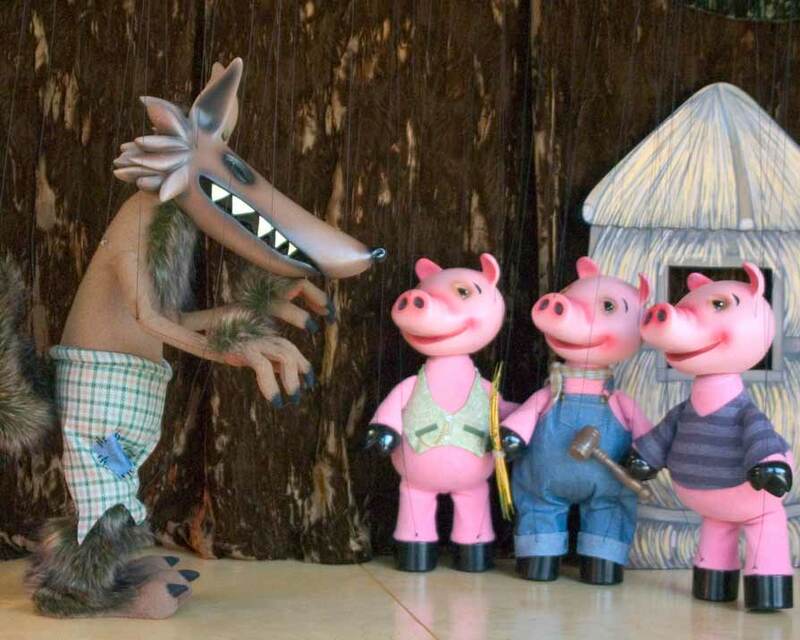 Our production of Peter and the Wolf is set to the majestic Prokofiev score, designed to introduce children to classical music and the individual instruments within an orchestra. 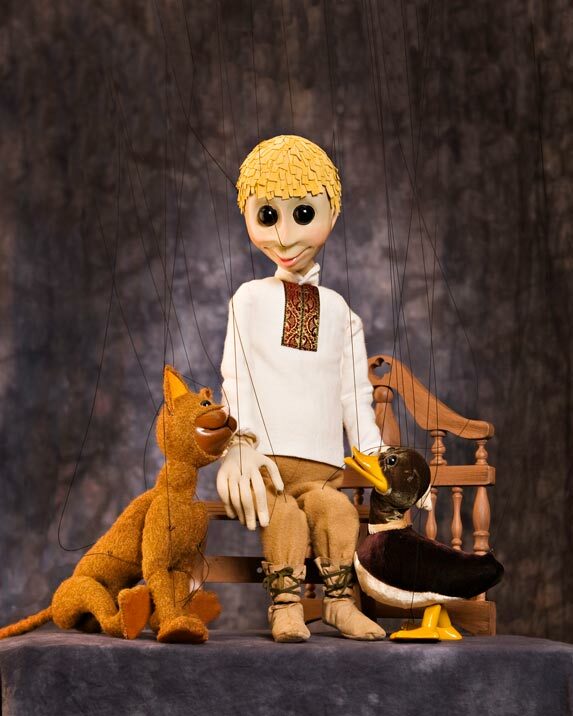 Visit the forest home of Peter and his grandfather, listen to the debate between the bird and the duck, and see how the hunters capture the wolf. 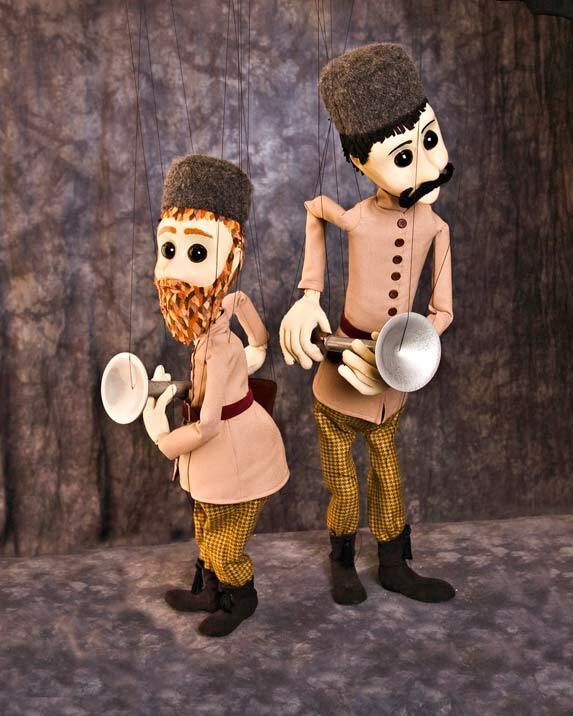 This production features a digital recording, or can be performed with a symphony and guest narrator. 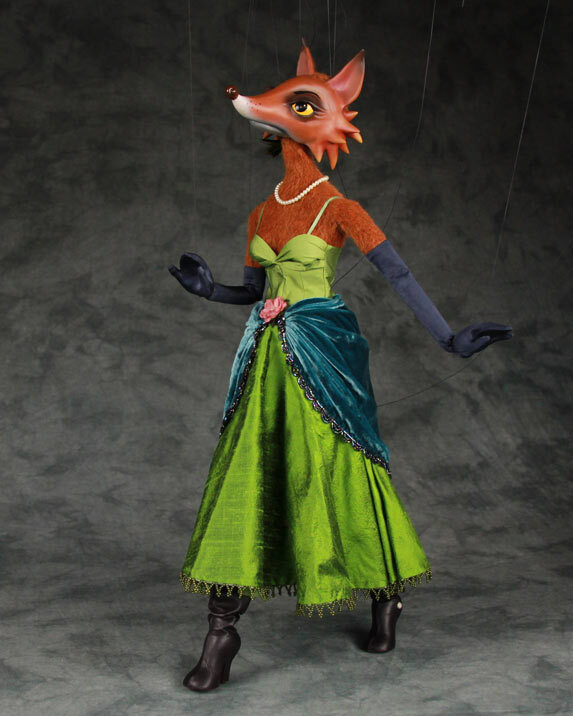 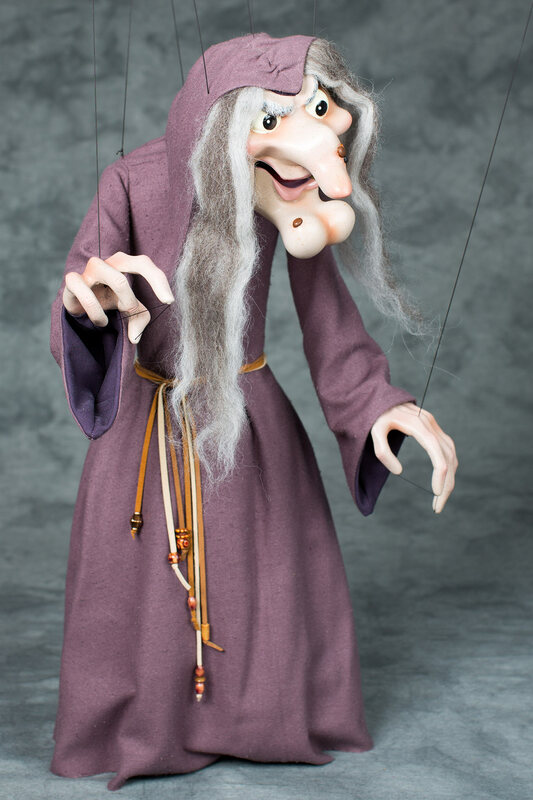 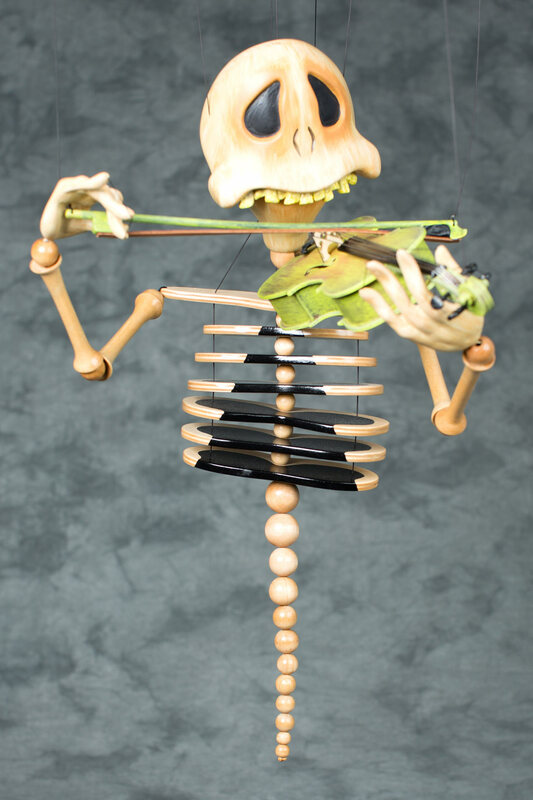 The Fratello Marionettes delivers an interactive presentation on the art of puppetry – from creation to performance. 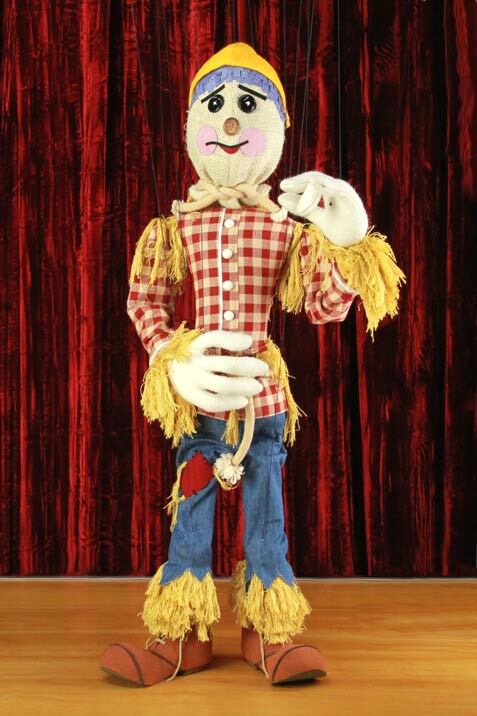 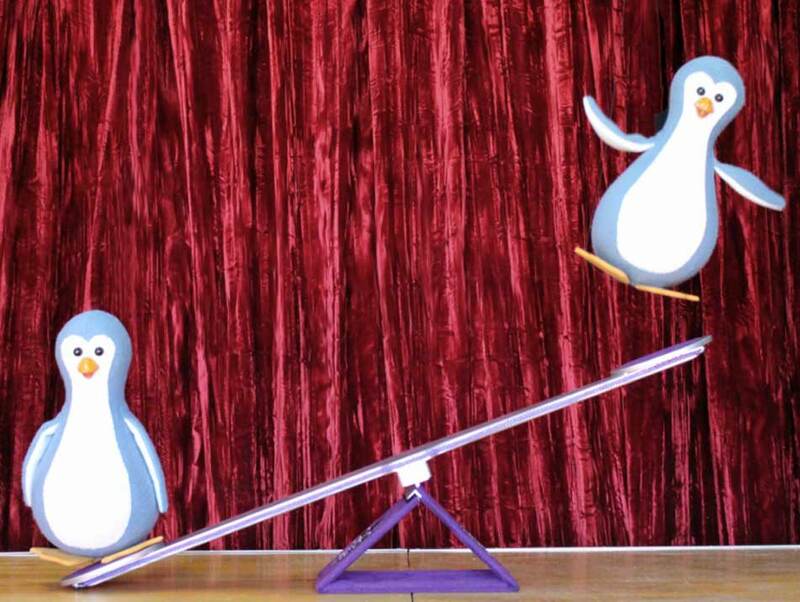 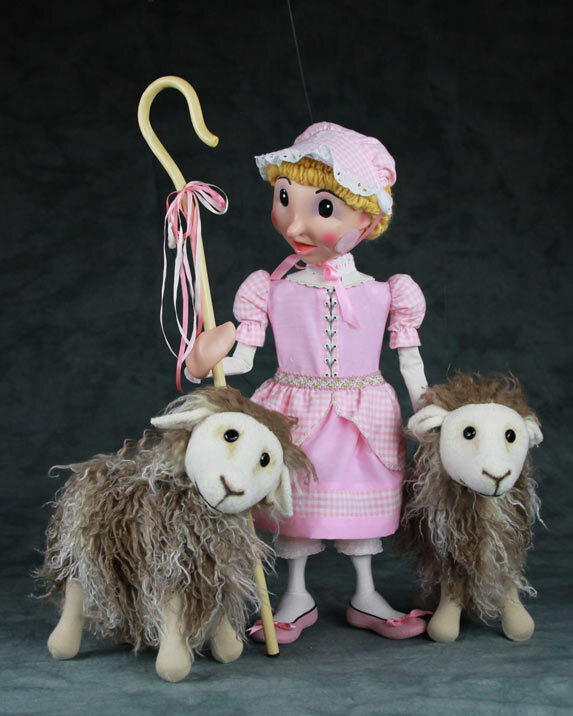 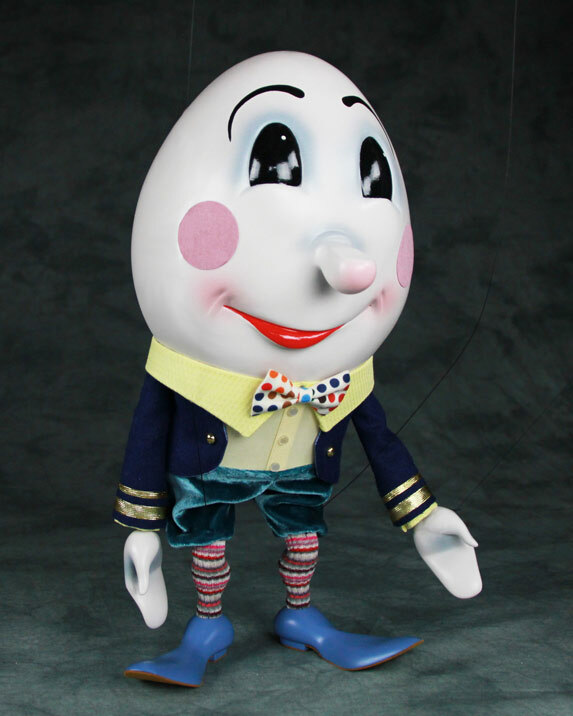 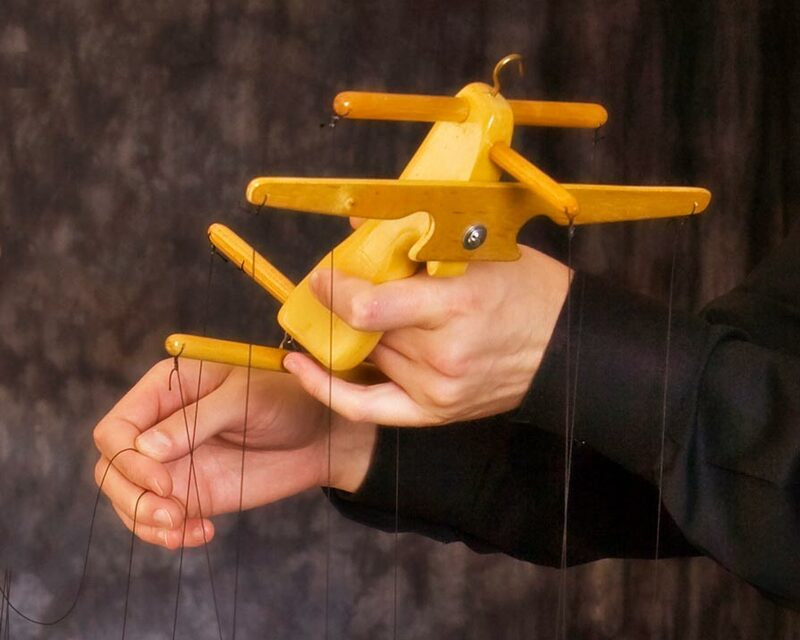 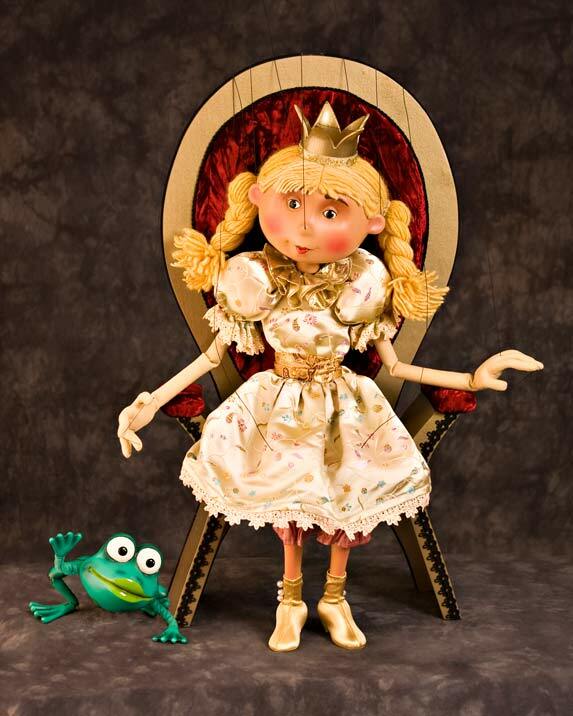 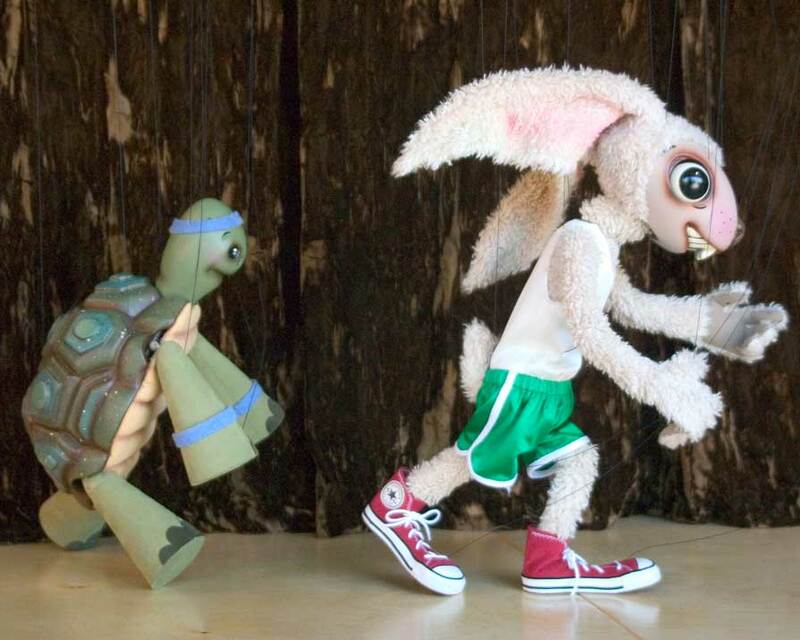 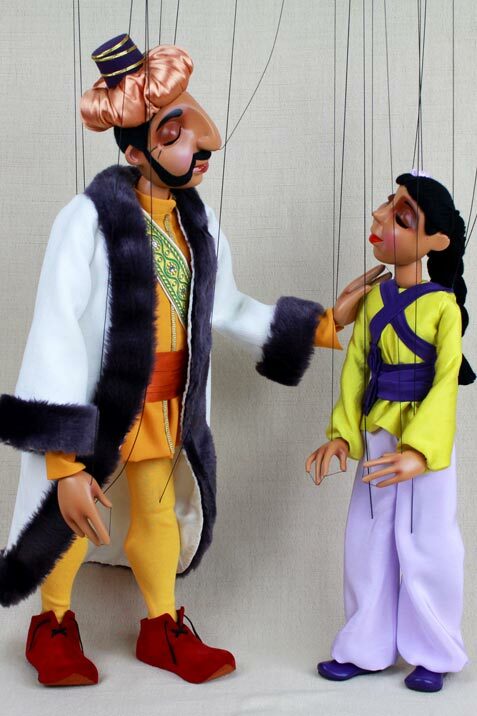 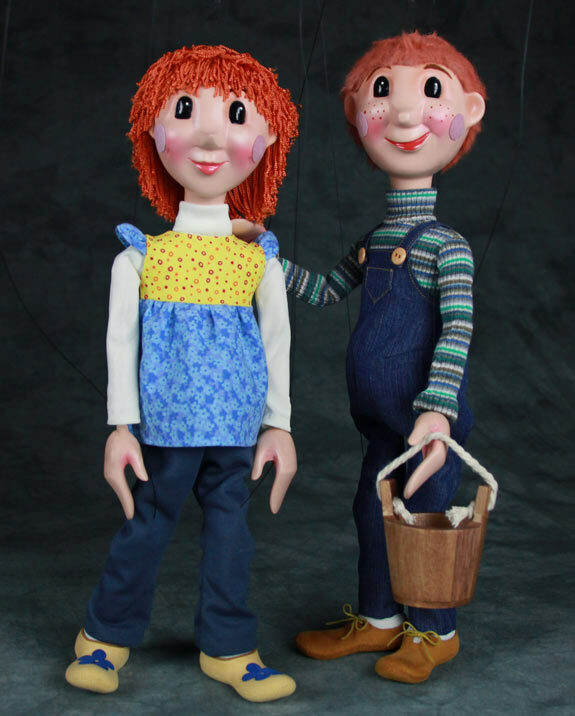 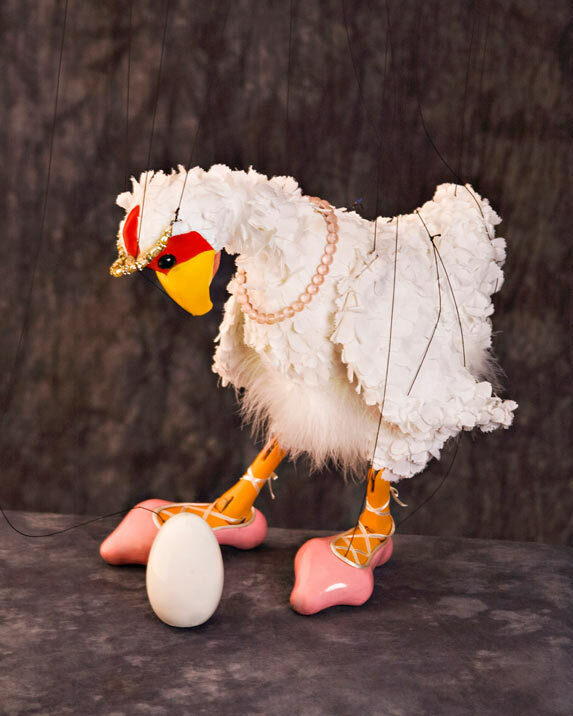 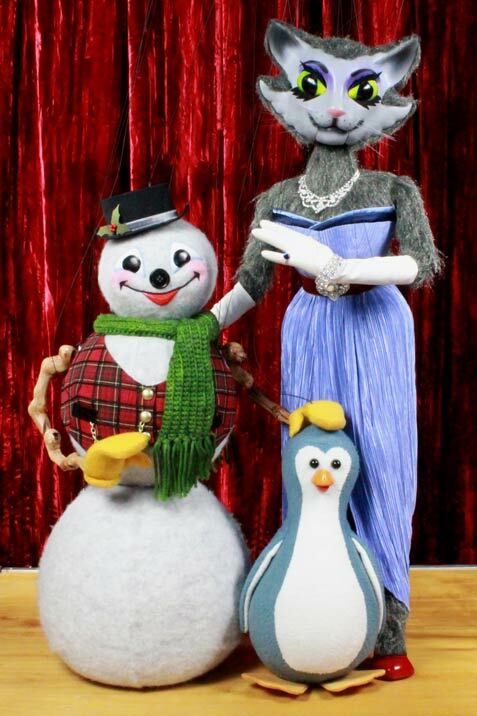 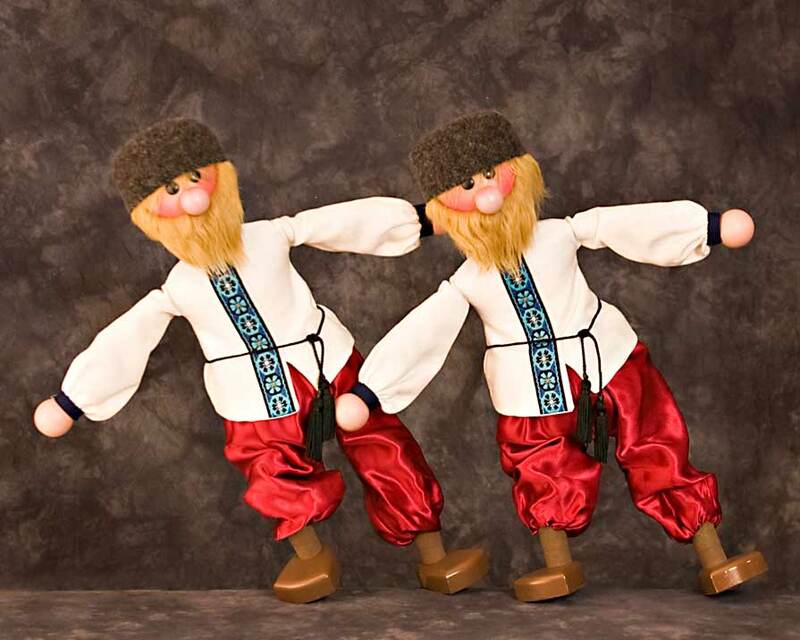 The puppeteers will demonstrate hand puppets, rod puppets, and specialized trick marionettes. 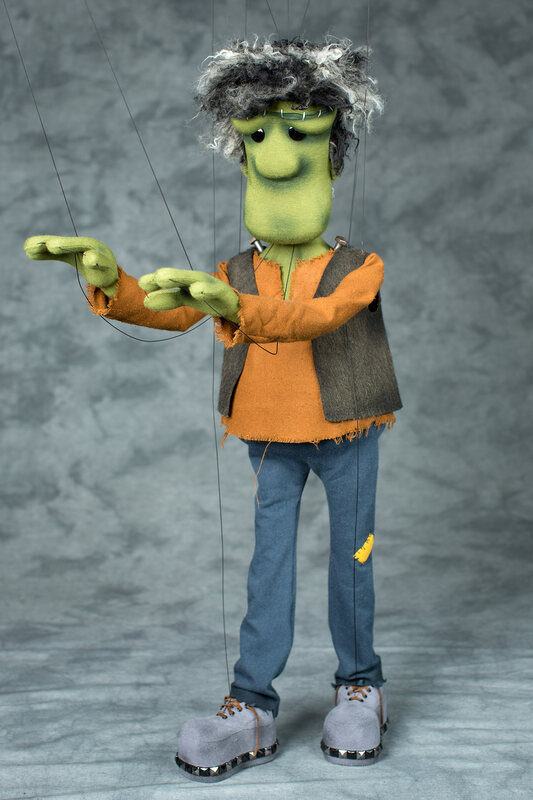 After each vignette, they will cover an aspect of the puppet building process. 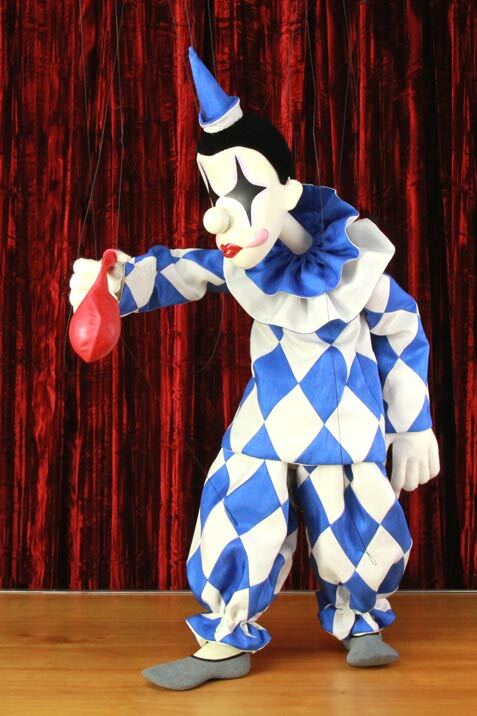 The presentation ends with a look behind the scenes and a Q&A session. 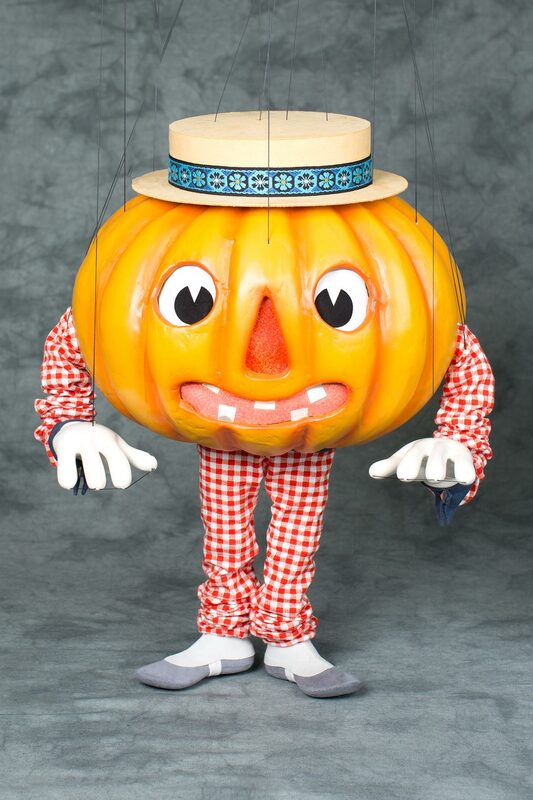 Our new Halloween variety show is family-friendly fun for all ages. 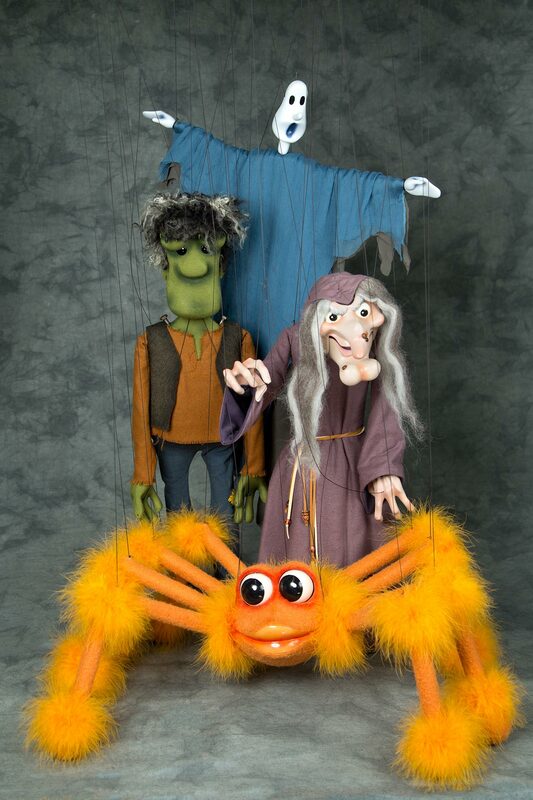 The show features happy ghosts, Frankenstein, the Purple People Eater, a not-so-scary spider and more….and of course, no Halloween show would be complete without a witch! 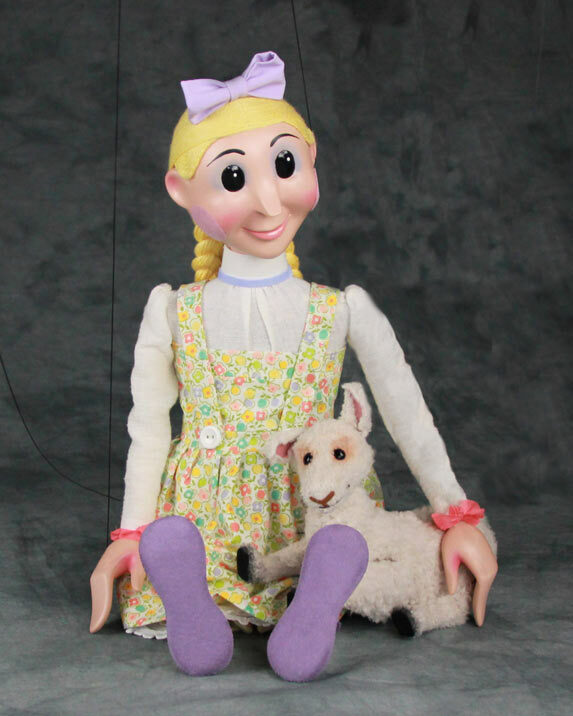 Special care is taken to make this production a kid-friendly experience. 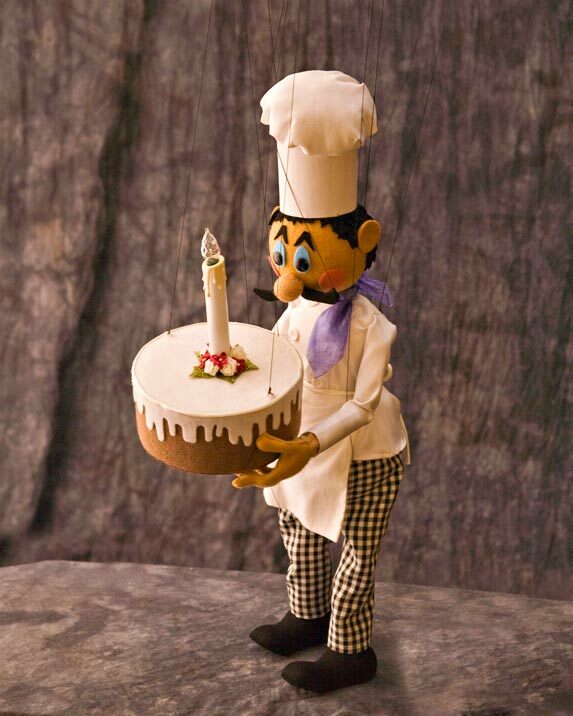 Chef Pierre hosts a dazzling variety show – with a special birthday surprise! 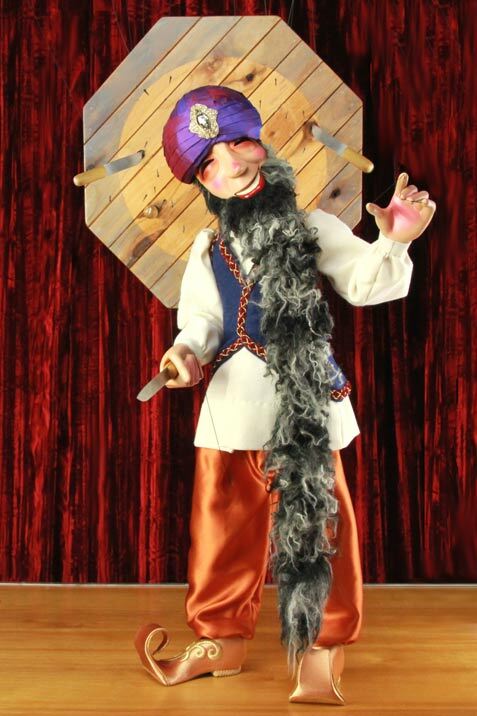 Chef Pierre will present a special gift of a gold crown to the birthday celebrator, compliments of The Fratello Marionettes. 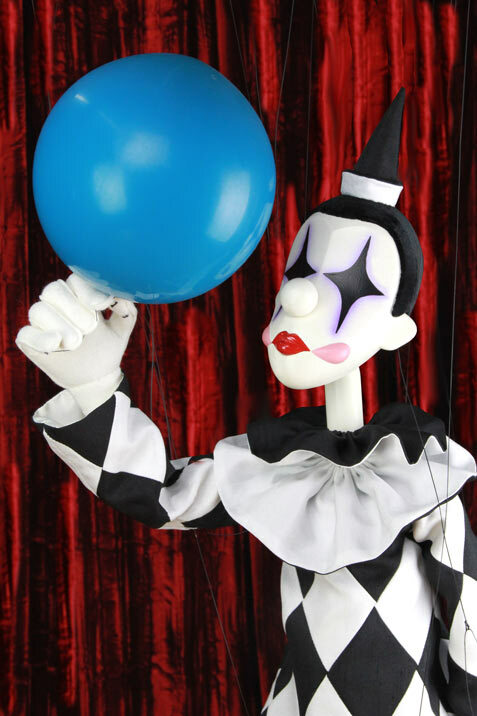 Every performance is followed by the opportunity for the guest of honor to have a photo taken with their favorite puppet, plus a group shot with all the guests. 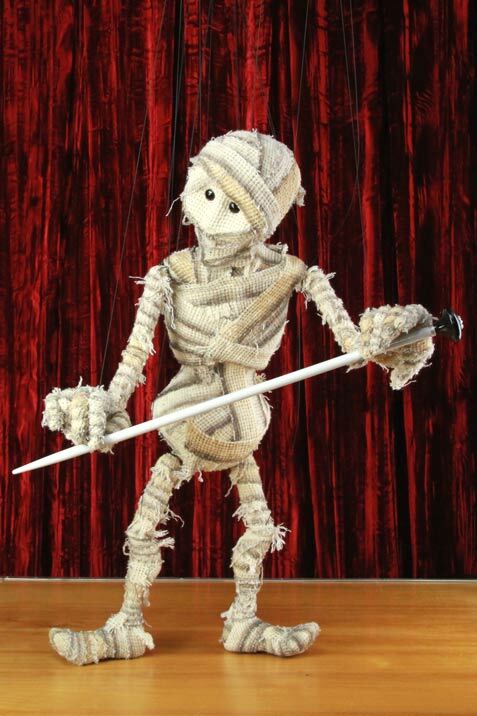 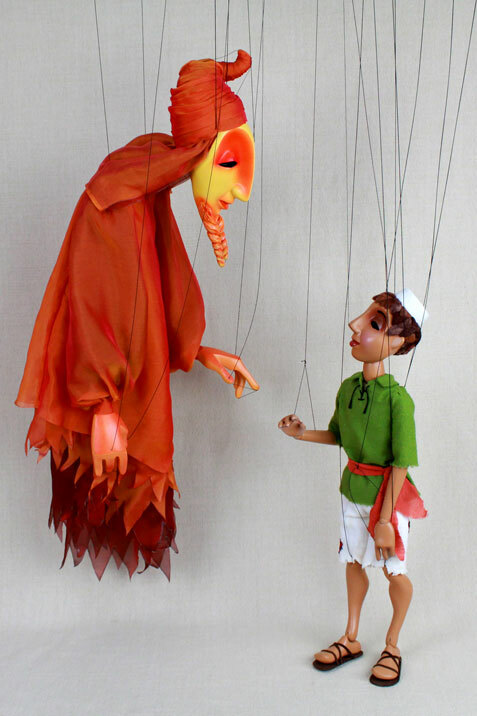 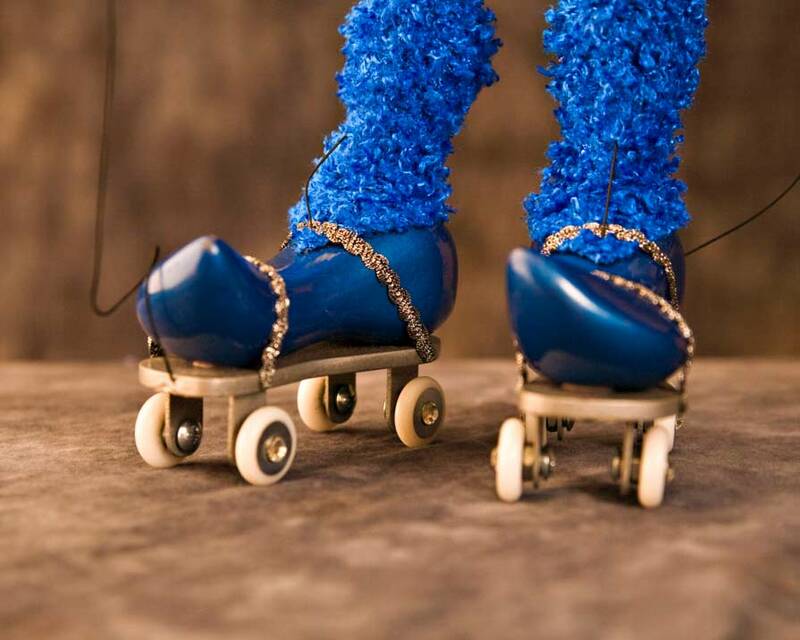 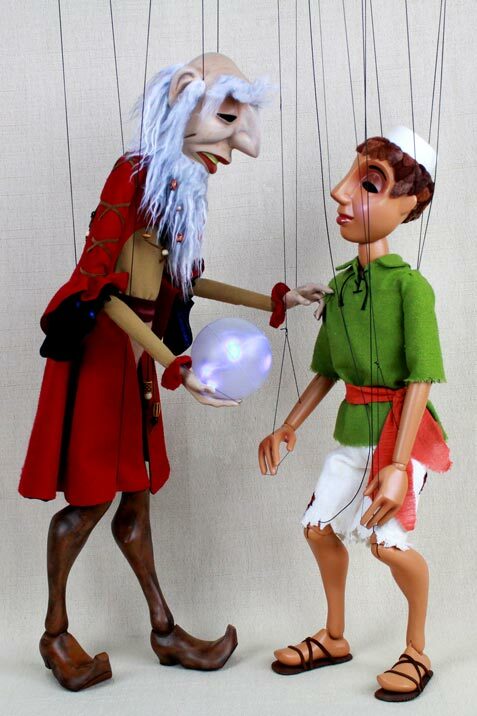 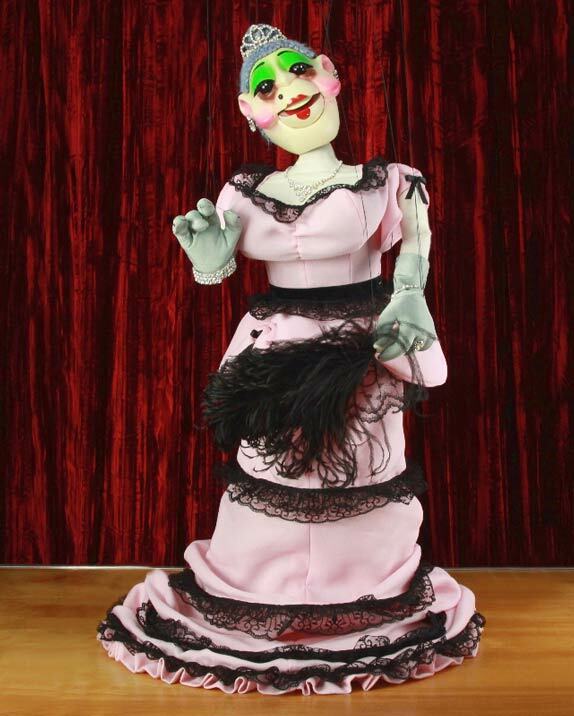 See the Fratello Marionettes live!